Autumn forest path with falling gold leaves. 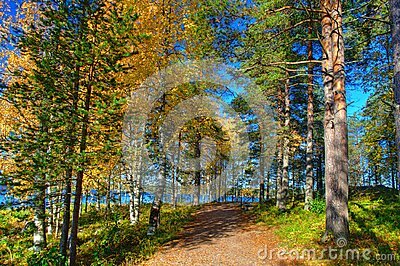 Autumn, fall landscape with trees full of colourful, falling leaves, sunny blue sky. Beautiful autumn forest in Sweden. Perfect seasonal theme.